before I post this thread, I had already post a reply in that test report thread for this problem. A friend here reply me that I can't post there. I do the config as that test report said. and that report write status: playable. (01-10-2016, 07:09 AM)littlemike2016 Wrote: I do the config as that test report said. 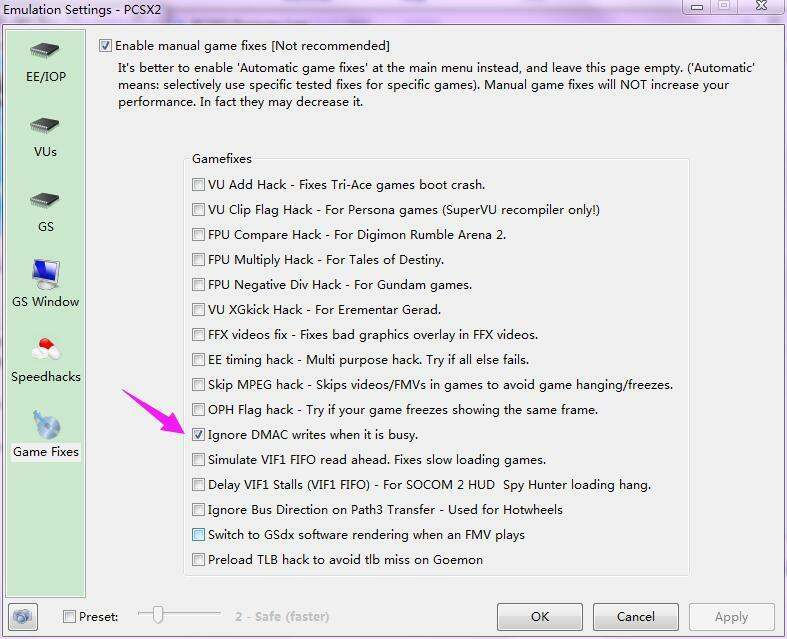 Enable "Ignore Dmac writes when it is busy" game fix.Also seems to require 4 gb patch. Bugs: black screen with Not the *Ignore Dmac...option activated. i also do the 4 gb patch. in the begining, when I beat the feopard, then entered CG, when the CG is over , some errors as below, and the game freaze. could you or anyone retest it and help me, pls? As I reported earlier, the game doesn't work correctly even after that gamefix enabled. It will eventually hang at some point or other. That's the reason it's listed as ingame only even though destruidor reported it as playable. (01-10-2016, 10:40 AM)prafull Wrote: As I reported earlier, the game doesn't work correctly even after that gamefix enabled. It will eventually hang at some point or other. That's the reason it's listed as ingame only even though destruidor reported it as playable.